For the last 6 months, as I have been raving about the private dining facility that I have been privileged to be introduced to, more and more of my friends have been asking me to take them there. Since the place isn't really open to the public, I guess there really isn't an alternative for them... I am the only access since I'm considered "in". So I've been going back on a monthly basis, as friends who have already been request for repeat visits, and friends who have read my previous posts ask to try the delicious cuisine. Yeah... I have a pretty tough life... This feels almost a little like On Lot 10, in a way that my friends always asked to go there with me, as they knew that our food would invariably be special and more interesting than if they went on their own. Tonight the party was larger than usual. We had been doing dinners for 8 to 10 people, but in the last 2 days the ranks swelled to 13, which in a way helped bring down the cost slightly. As usual I asked for a couple of modifications to the chef's proposed menu. Barbecued Iberico pork (黑毛豬叉燒) - we started with this as we waited for the last couple to arrive. Very, very good tonight... possibly the best version I've had here. It was truly half-half (半肥瘦), and that pork fat was just sooooo delicious... you wanna position it between your teeth, and just kinda put pressure on it and squeeze some of the liquid fat out, and feel it drip onto your tongue. Stir-fried bird's nest with milk (官燕炒鮮奶) - it's been a while since I last had this, and I was so glad we added this to the menu. Lots of sweet and delicious crab meat, stir-fried with bird's nest, milk, and mixed with deep-fried vermicelli as well as a generous sprinkle of powdered deep-fried garlic. While we took turns snapping pics, the smell gradually permeated the room. Incredible wok hei (鑊氣). I think we all would have loved to have more. Deep-fried crab claws (椒鹽肉蟹鉗) - physically they looked a little smaller than the ones we had last month, but these were still pretty big claws, and certainly the thickness was nothing to complain about! So so good... and incredibly satisfying just to chomp into one. Stir-fried tripe with mixed vegetables (七彩炒肚尖) - pork tripe, celery, red bell peppers, water chestnuts, yellowed chives, sweet pickles, coriander and Indian almonds. Still my favorite version of this dish in town. However, tonight a few of us agreed that the balance was slightly off, as we seemed to be short some of the sweet pickles. The Indian almonds (欖仁) seemed to be a little more toasted than usual, although I'm OK with that. Double-boiled chicken soup with whelk (淮杞響螺燉雞湯) - very good, with sweetness coming from both the wolfberries (枸杞) and the Chinese/Japanese yam (淮山). I picked on a few pieces of the whelk. A few of us were getting a little tired of having steamed ocean tongue sole (清蒸海方利), even though it's not easy to find them these days. So I asked the chef to suggest alternatives, and the choices were humpack grouper (老鼠斑), humphead wrasse (蘇眉), or Hong Kong grouper (紅斑). All three species of premium coral fish, which the Cantonese especially favor, are clearly in the "Avoid" category on the World Wildlife Fund's Seafood Guide. That makes for a difficult choice for someone who cares about sustainability, because there's gonna be guilt involved whichever one I ended up choosing. After researching online through the usual channels (i.e. Wikipedia) and double-checking with the actual IUCN Red List, I settled on the humpback group since it is only listed as "Vulnerable" instead of "Endangered" like the other two choices. This was really, really good... Loved the egg yolk and the shiitake mushrooms the most, but the lotus seeds, barley, duck...etc. were all good. Four treasure vegetables with superior broth (上湯四寶蔬) - always happy to have this... and that radish was as incredible as always. Sautéed rice rolls with minced beef, bean sprouts in satay sauce (沙爹牛肉炒腸粉) - always a crowd favorite, our portions are never enough even though most of us are pretty full by this point. The diced onions in the mix - which are slightly raw - just added that wonderful kick. Jujube soup with longan and apricot kernals (南北杏龍眼紅棗湯) - always good to finish with something like this. 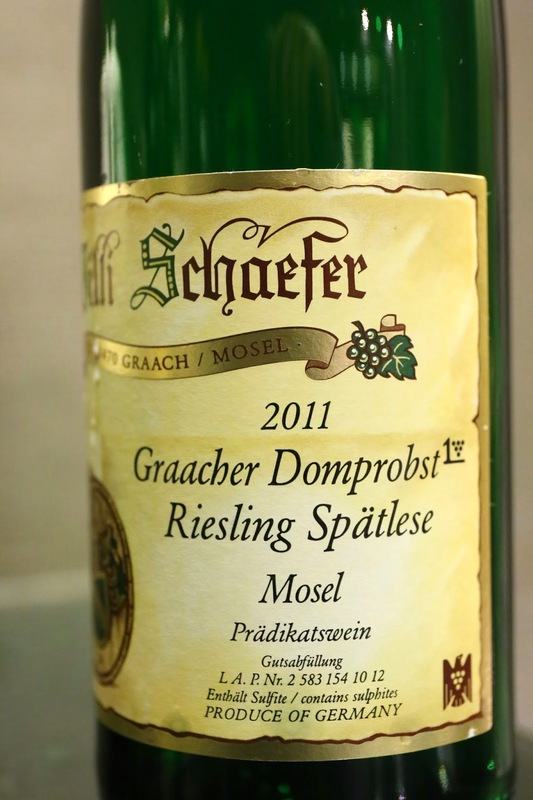 2011 Willi Schaefer Graacher Domprobst Riesling Spätlese - a little sweetner than I expected, with a little white pepper and flint in the nose. 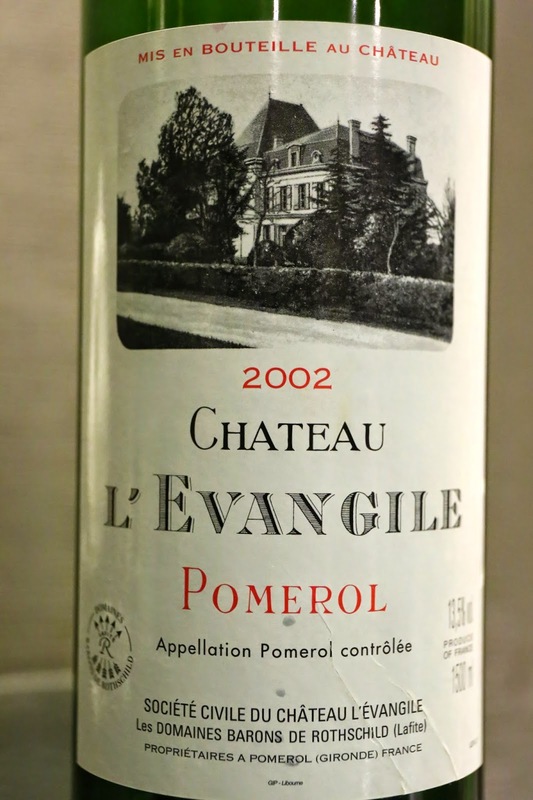 2002 L'Evangile en magnum - nice and fragrant, with cedar notes. Sweet on the nose as well as ripe and sweet on the palate. A little more forest notes on the nose later. 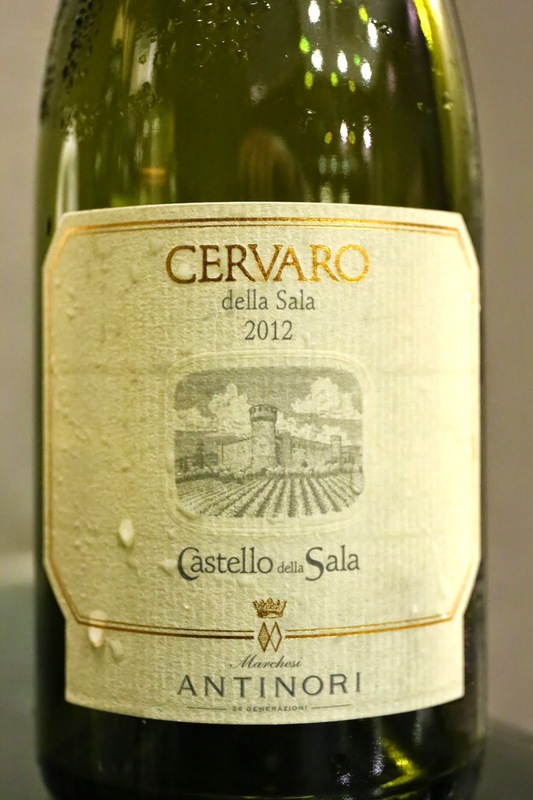 2012 Castello della Sala Cervaro della Sala - very ripe on the nose, very buttery and nutty. Overripe and a little bitter on the palate. 2007 Olivier Leflaive Puligny-Montrachet 1er Cru Referts - a little ripe and oaky, with lemon citrus notes. A little bitter on the palate. 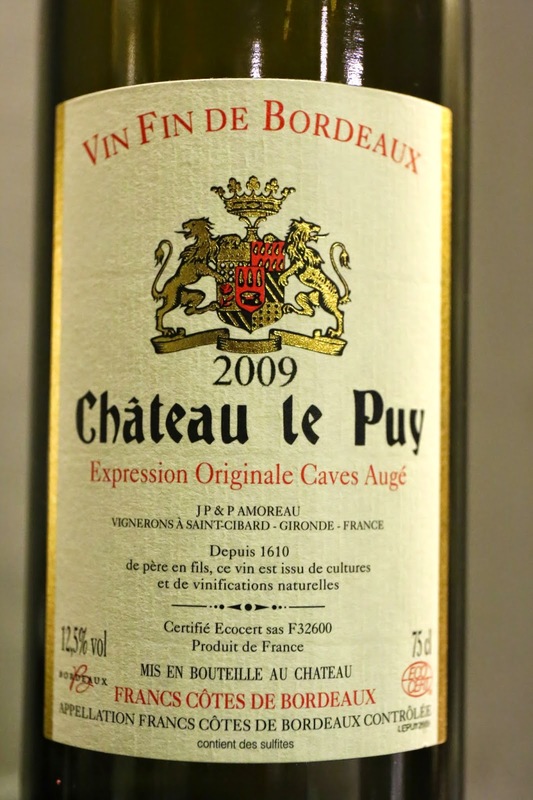 2009 Le Puy - pretty young, ripe and sweet, with oaky and cedar notes. This was a pretty good night, and I think my friends enjoyed themselves. However, I'm gonna have to have a lot more input in terms of the menu next time around... Even I am getting a little tired of having the same bunch of dishes repeatedly over the last 6 months!